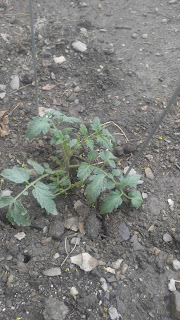 So, I planted my first tomato plant yesterday. 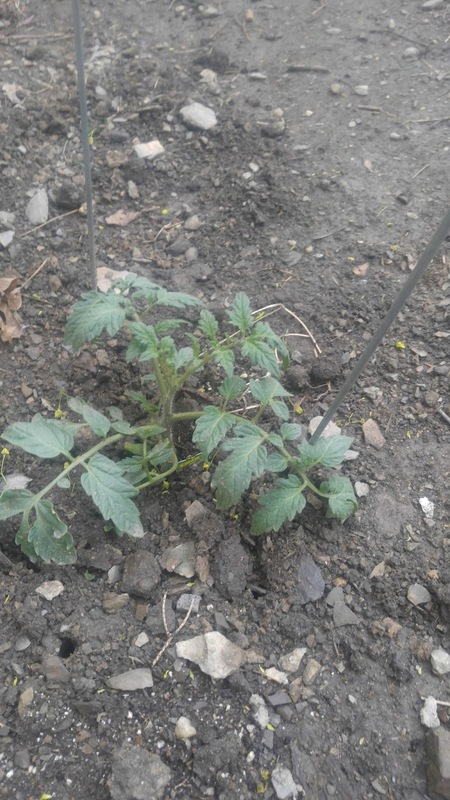 I can plant tomatoes in the yard, the dogs leave them alone. Green Peppers are another story. They like Green Peppers. Last year they at those I had planted, even the jalapeno. If I plant peppers this year, they will have to be outside of the fence where they'll be safe from the dogs, but lunch for the bunnies. Politically speaking, I suspect the approaching week is going to be a hoot in hell. The Idiot says he now believes getting anything accomplished in his first 100 days proves (except how much he's failing) nothing. But then the repeal of Obamacare gets floated again, so it can once again fail. And then the country is going to run out of money on Friday. That's right. Oh, and he's going to be releasing a new tax plan that's going to be 'huge, really, really huge,' in which individuals and corporations will benefit. Of course, the individuals who are going to benefit are going to be those in the Betsy DeVos, Steve Mnuchin tax bracket because they deserve to get a tax break. Right. Trickle down economics, you know? His supporters need to start learning that every time he says 'really, really huge' they're going to get nothing, that he's going to fail. Let's be honest here. America is Great, as long as the Republicans aren't in charge. Their inability to govern is.. well, pathetic to say the least. In the Idiot's first 100 days it's amounted to nothing more than Executive Orders, which the next Democratic President will over turn faster than the Idiot's mind flip-flops from one lie to another. Speaking of failure, if you scan the crazy conservative websites you'll see they are already starting to call the Idiot ineffective, of course, what were they expecting? They put a buffoon in the White House. "if you scan the crazy conservative websites you'll see they are already starting to call the Idiot ineffective" - jesus h, what took them so long to wake up and smell the cawfee? intelligent people saw this over a year ago. Sadly, they're just saying he's ineffective, they're not shaking their fists in the air at him... yet.